In the Digital Age, your data could be stored anywhere in the world, regardless of where you live. So what happens when your police department is investigating a crime in the United States, but the relevant data are stored in Ireland? Do you need a U.S. warrant, or an Irish one? 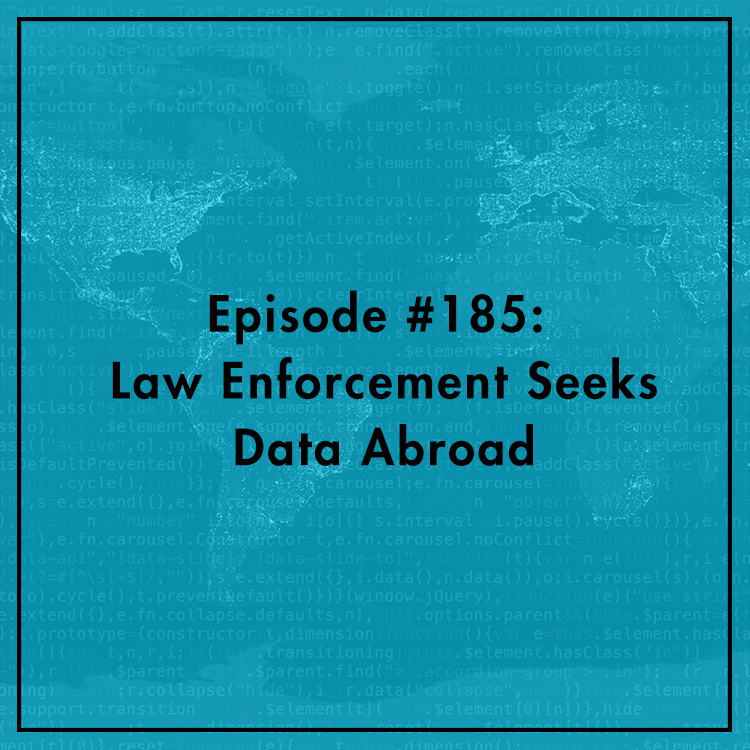 How much of a problem for law enforcement is cross-border data? What kinds of agreements can nations strike to facilitate investigations without trampling on civil liberties and human rights? Evan is joined by Jennifer Daskal, Associate Professor at American University’s Washington College of Law, and Drew Mitnick, Policy Counsel at Access Now. For more, see Drew’s five-part blog series and Jennifer’s latest post.